Late Summer Sun. © Gretchen Friedrich, 2014. This week starts right out with the New Moon in Virgo, establishing a new cycle of diligence and discernment. This entry was posted in Forecasts and tagged Mars-Saturn transits, mercury in virgo, mundane astrology, New Moon in Virgo, Saturn in Scorpio, Uranus in Aries, Uranus-Pluto square on August 24, 2014 by Pat. This week, we continue to encounter circumstances that allow us to put our new skills to the test as we move deeper into new territory. With the Moon in Capricorn on Tuesday and Wednesday, there are small reminders of situations we’ve been in over the past two years. Most of you are moving on, but some ties remain. Because the Moon moves through the signs quickly, her influence is fleeting and sometimes not felt at all. Still, I’m betting you’ll get twinges of fear and worry – maybe worse – as memories surface. This is natural, so just allow the feelings to flow. As long as they don’t stick, you’re fine. If they do, that’s your clue that something still isn’t resolved. 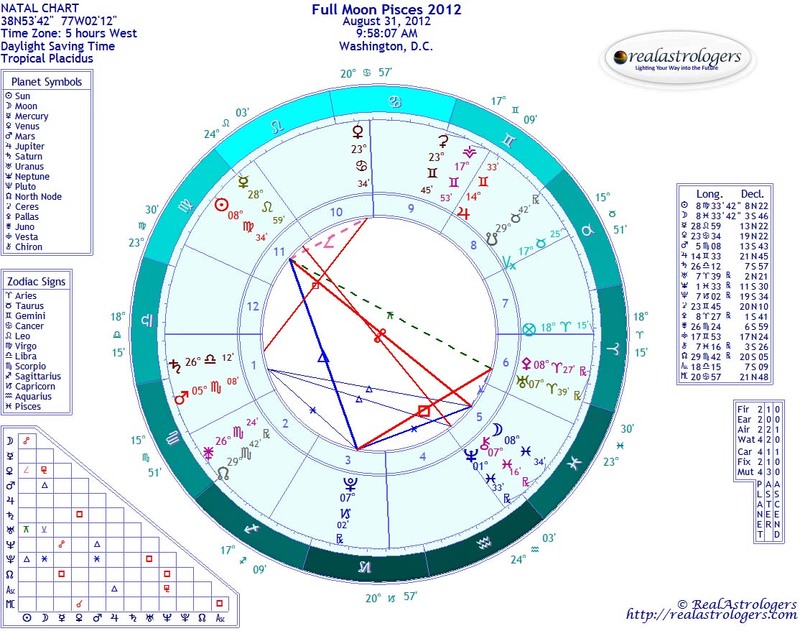 On Sunday, Mars moves over the degree of the Jan. 15, 2010, solar eclipse in Capricorn. At 25 degrees, the eclipse was well out of the range of the cardinal T-square and grand cross, but it probably corresponds to your major challenge or challenges in the past two years. Think back to what was going on for you around the middle of January (plus or minus a week), and then think about what has changed. Chances are, you’re in a much different place. Several times in the past month or so, people have told me that they aren’t bothered by things that upset them before. Among other things, we’re learning to see people and situations in a different light, and that changes how we respond. Right before Mars passes over that critical degree, he makes a dynamic sextile with Venus in Virgo. It’s interesting to note that both planets are in their fall, and yet relationships can still benefit. It’s when we’re at our weakest that we’re most likely to drop our defenses and be real with each other. On Thursday, Mercury opposes Neptune for the third and final time in this cycle, and then he re-enters Virgo on Friday. When Mercury turned retrograde in early August, he was in close opposition with Neptune. The level of confusion was beyond what we usually feel when Mercury shifts motion, and many people told me they were “just so sleepy.” We’ll likely get that effect again late this week. Mercury and Neptune are both associated with sleep and dreams, so it’s a wonderful opportunity to pay attention to your dreams. They can contain important messages. These messages can be an important source of healing, and that’s likely to be the case on Saturday, when Mercury opposes Chiron. Healing messages aren’t always comfortable; indeed, they may be mildly upsetting. It’s never easy when the deep psyche is stirred up. This is especially true for past-life memories, which are surfacing more often for many of you. The first memories to come back typically involve close relationships – that’s why so many of you are meeting soul mates. After that, we begin to remember traumatic experiences. 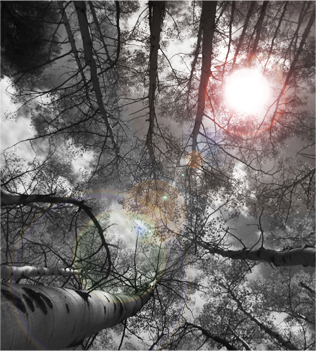 The collective conscious contains many such memories, along with lifetimes of wounds. We began addressing these in earnest a few years back, when Neptune and Chiron conjoined in Aquarius. We can go deeper with Chiron in Pisces. Back in Virgo, Mercury will be in his own sign – although I’ve been lobbying for joint rulership with Ceres ever since she gained the same “dwarf planet” status as Pluto. Little did I know at the time that there was an ancient precedent for this association. Manilius, writing in the 1st century CE, associated each of the astrological signs with a patron deity. A couple of weeks ago, I ordered a translation of his Astronomica from Amazon and was astonished to find that he, too, paired Ceres with Virgo. 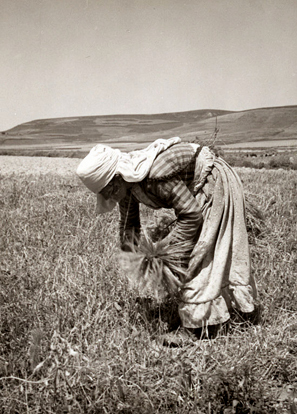 “The Virgin with her sheaf belongs to Ceres,” he wrote. He also paired Pisces with Neptune, long before planet Neptune was discovered. He assigned Vesta to Capricorn. You just have to love the synchronicity. Virgo certainly has two distinct sides, symbolized beautifully by Mercury and Ceres. One side of Virgo – perhaps we should call it the left-brained Virgo – is into details, perfection, mechanical function, and logic. Have you ever noticed how many accountants, engineers and computer programmers have strong Virgo in their charts? The right-brained Virgo is the health-conscious, helpful friend in need. I always laugh when I come across a vegetarian Virgo. It’s so typical. 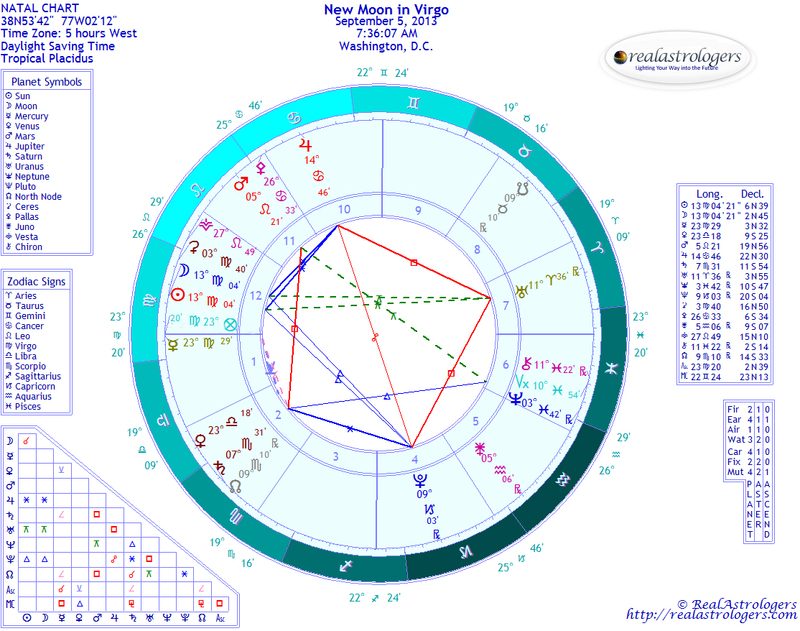 Many of my clients with Moon in Virgo are in an alternative healing profession. Next week is the Full Moon in mystical Pisces, the sign opposite Virgo. If you haven’t checked out Ruth’s latest article on Virgo and Pisces, you can find it here. If you’d like to check out Astronomica, you can find it in my bookstore, under “In-depth & Specialized.” Every order helps support RealAstrologers. Thank you! This entry was posted in Forecasts and tagged cardinal T-square, Ceres, Mars in Cancer, mercury in virgo, Mercury retrograde, Merury-Neptune on September 4, 2011 by Pat. What does it tell you when you keep hitting the same obstacle over and over again? Some people complain and blame their lack of success on others or on external circumstances. Some think they haven’t worked hard enough, so they grit their teeth and redouble their efforts, using the same tools and techniques. Some will make a superficial change here and there. Others will give up entirely. There are times when giving up is the best thing to do. I say that not to encourage anyone to be lazy, but because in that moment of giving up, we open our hearts and minds to the new information necessary for growth and advancement. When the same old ways of thinking, being, and doing aren’t working, it’s time to make radical changes. If we won’t voluntarily make those changes, either because we aren’t aware enough to make them or because we’re actively resisting change, external circumstances will force us to take in new information and move in a different direction. This is a lesson that many of us are learning during the cardinal T-square. Change, even when it’s positive, can be disorienting and downright distressing. For many people, it’s so distressing that the temptation to go back to the old, painful way of life is too powerful to resist. The human mind is hard-wired to repeat familiar patterns, and that’s what we’re fighting against now. 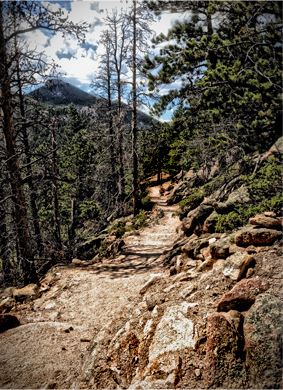 Getting onto a new path truly feels like an uphill battle. Action and discipline … not the most fun combination under the stars, but a very productive one. I even see some potential good in this week’s conjunction of Mars and Saturn. These two since ancient times have been considered the “malefics,” and there’s a good reason for that. Transits of Mars and Saturn very often do correspond to accidents, tragedy, confrontation, and war. But Mars is the planet associated with action, and Saturn at his best is about discipline and structure. Action and discipline … not the most fun combination under the stars, but a very productive one. When planets are in square or opposition, we look to sextiles and trines as our “way out.” Last Sunday’s Full Moon provided such an opening. There will be another this Friday when Mercury trines Pluto, who’s at the apex of the T-square and thus under the most pressure. Mercury is about communications. In Virgo, discussions can be very practical and helpful. Pluto, meanwhile, represents everything hidden, forbidden, and scary. When we face these demons, transformation happens. Talking with someone you trust can help you get in touch with your deepest fears, longings, and desires. Sometimes just owning these things is enough to propel you into a different orbit. Friday could be a very trying day for everyone, but if you keep in mind that the challenges you face may be trying to get your attention in order to nudge you in a different direction, you can use these forces to your advantage. As I mentioned in my weekly forecast, planetary aspects are only going to get more difficult in the next few weeks. Talk about it, get it out, and confront the unpleasant truths lurking under the surface. If you do the work now, you can save yourself more grief later. This entry was posted in Forecasts and tagged cardinal T-square, mars conjunct saturn, mercury in virgo on July 28, 2010 by Pat. The lunar eclipse at 13°43′ Aquarius on August 5 (August 6 in the Eastern Hemisphere) is the last in the Aquarius-Leo series, which began in February 2008. This eclipse promises to bring resolution to matters related to the areas in our charts these eclipses have activated, and one way or another, pleasant or not, this is the final hurrah. The main feature in this chart is the Full Moon, with the Sun in Leo and the Moon in Aquarius. The only aspect to the luminaries is a benign waning aspect from Mars in Gemini. Because the luminaries are not tied in to the rest of the eclipse chart in a major way, all of the energy of the eclipse is contained and tightly focused for maximum effect. My sense is if either the Sun or Moon conjoins a planet or angle in your chart, you will know it. Moving outward from the Sun, we find Mercury happily in analytical Virgo, one of the two signs he rules, conjunct Pallas. This combination offers clarity and precision. Pallas is the quintessential organizer, and Virgo is a very comfortable place for this cerebral asteroid. If you need help tackling some long overdue project requiring patience and clarity of thought, these two are there to help, since Virgo is happiest when being of service to others. Venus in Cancer is recovering from her opposition to Pluto in Capricorn, and a sextile from the Mercury-Pallas conjunction is supporting that recovery. The first thing that popped into my head was that this is a perfect time to get down and seriously reorganize closets and junk drawers! Digging into paperwork related to your home and family also is favored. The opposition from Venus to Pluto could have pried loose old memories from childhood that need to be released to the higher good. Plus, we are all still reeling from the two eclipses in Cancer and Capricorn and could use the nurturance offered by Venus in Cancer right now. A note of frustration is brought to the table by Mars in a waxing square to Saturn in Virgo. The upside is that Mars is moves quickly, and this will not be a long-lasting event. The downside is that disagreements could quickly degenerate into slanging matches with the square in mutable Gemini and Virgo, both of whom prefer words as weapons. Ceres has just found her way into Libra and is exactly square Pluto in Capricorn. Since Ceres is the goddess who forced Pluto to deal with her as an equal, this is an interesting exchange and a prelude to what we can anticipate when Saturn enters Libra in late October. Ceres in Libra is focused on helping us develop a cooperative attitude and a willingness to share in an equitable manner, while Pluto in Capricorn is more interested in the bottom line. I definitely get a sense we will be seeing power struggles along those lines emerging within the collective over the next month or so. This lunation marks the gradual end of the influence of the stellium of Neptune, Chiron and Jupiter in Aquarius and the reemergence of the next Saturn-Uranus opposition, which will take place on September 15 at 24° Virgo-Pisces. As Jupiter pulls away from Neptune, I am inclined to believe we will start waking up and realizing the extent to which we were basing our decisions on wishful thinking rather than hard facts. Naturally, this will be a painful period for many as reasons returns and the need to make serious adjustments in priorities emerges. As for Saturn and Uranus, Mars in Gemini will square both of those between now and the New Moon in Leo on August 20. It wouldn’t be a bad idea to take note of what issues are front and center during this time. The Sabian symbols for this lunation offer hope for an opportunity to make a leap forward now. The symbol for the Sun at 14 Leo is, “a human soul seeking opportunities for outward manifestation,” with the keyword INGENUOUSNESS. For the Moon at 14 Aquarius, the symbol is “a train entering a tunnel,” with the keyword COURTESY. Staying present and focusing on behaving with kindness and consideration toward others as well as ourselves appears to be the best option. We need to take time to live consciously more than ever now and to avoid acrimonious exchanges where there are no winners. Ralfee Finn offers this advice, and I concur: The antidote is simple – refuse to engage in any mean-spirited, harsh, or brutal behavior. Period. But applying this remedy will take a deep commitment to conscious living. **Please read Pat’s weekly forecast for this week, August 3, for her thoughts this week’s lunar eclipse. Image: I felt this dramatic photo suited this Full Moon on the Leo-Aquarius axis. This entry was posted in Full Moon and tagged lunar eclipse, mars square saturn, mercury conjunct pallas, mercury in virgo on July 31, 2009 by Pat. The lunar eclipse at the Full Moon this Saturday is the second of the pair of eclipses this month, with the Sun at 24°21′ Leo and the Moon at 24° 21′ Aquarius. During a lunar eclipse, the Earth is between the Sun and Moon, and the Earth’s shadow falling on the Moon causes the eclipse. The qualities of the Moon are enhanced, and a lunar eclipse can allow us to get in touch with our subtle emotional motivations without the interference of the Sun’s brilliance. The Full Moon in Aquarius is conjoined with Neptune, further emphasizing empathy and helping us raise our awareness of spiritual matters, if we so choose. Here is an instance when we are better served by courting Neptune’s higher qualities by finding some form of meditative activity to pursue. This can be as simple as walking in as natural a setting as possible. Walking by a stream, lake or the ocean would be especially healing under this Full Moon, because it would bring the mutual reception of Uranus in Pisces (water sign) semi-sextile Neptune in Aquarius (air sign) into play. At the New Moon on August 1, the Sun in Leo was accompanied by the Moon, Mercury, and Venus all in Leo. Now only the Sun remains there, and Mercury and Venus have joined Mars and Saturn in Virgo. This is a natural progression from the passion and heat of Leo into the more practical, service-oriented sign of Virgo and a strong indication that we need to start devoting more time to taking care of business and less to playing . . . sigh. Mercury is still within orb of Saturn but is pulling away quickly. From now until Mercury moves into Libra on August 28, we have a great opportunity to deal with all Mercury related matters, because Mercury shines in detail-oriented Virgo. In fact, if you have tasks that take mental acuity and can schedule them before the end of the month, it would be a good idea, since we have a Mercury retrograde coming in September. Saturn, Venus, and Mercury in Virgo are trine Jupiter in Capricorn and form a grand trine with Vesta in Taurus – all in all presenting an opportunity to manifest tangible results. Both Vesta and Virgo are concerned with healing and recharging our internal batteries, and Jupiter will be happy to provide the means to enable us to do so. The ongoing Chiron-North Node conjunction in Aquarius is part of this healing theme but more on the societal level, unless that conjunction directly aspects your chart. In that case, you are no doubt already aware of where your wounds are. If you have planets or chart angles close to 28° in the mutable signs, the waxing square between Mars in Virgo and Pluto in Sagittarius will ignite anger-related issues and make sure you know that it’s past time to let go and move on. Remember, anger is one of the stages of the grieving process. The cycle of death and rebirth is as old as time and still doesn’t get any easier, but Pluto is inexorable in demanding his due, so practice releasing what needs releasing with a modicum of grace. The Sabian Symbols for the Full Moon add their usual measure of richness to the mix. For the Sun at 25 Leo it is, A large camel crossing a vast and forbidding desert, with the keyword ADEQUACY; and for 25 Aquarius it is, A butterfly with the right wing more perfectly formed. The keyword for 25 Aquarius is UNIQUENESS. The first symbol suggests we are up to handling the challenges presented by this pair of eclipses, as difficult as they may seem. We have the reserves and the resources inherently, and part of the process is acknowledging that fact. The symbol for the Moon emphasizes the need for transmutation of emotional energies as part of the healing process. It is often our very uniqueness that can be our salvation. As this eclipse cycle draws to a close, please remember a couple of things. First, we can’t start healing until we recognize that the problem exists and, second, please remember that we are all human and have frailties, so forgiving ourselves as well as others is an essential component for healing. Be well, and practice kindness to all. This entry was posted in About astrology, Forecasts, General Musing and tagged Aquarius, full moon, Leo, lunar eclipse, mars in virgo, mars square pluto, mercury in virgo, Saturn in Virgo, venus in virgo on August 13, 2008 by Pat.